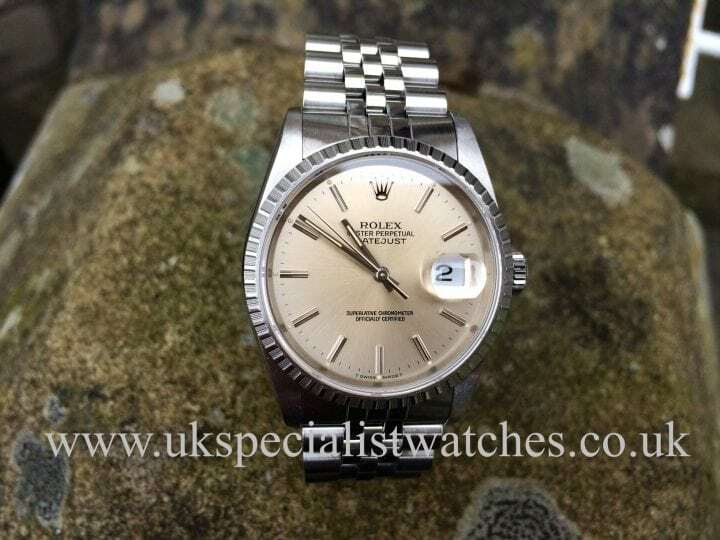 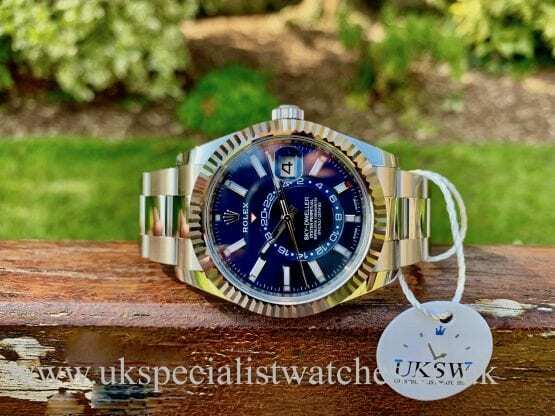 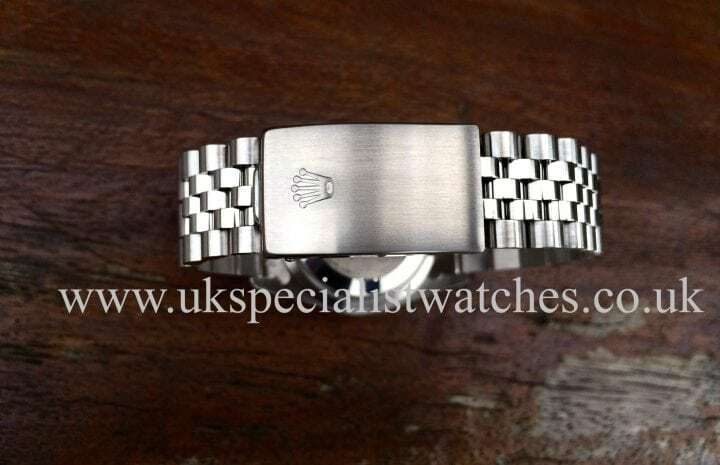 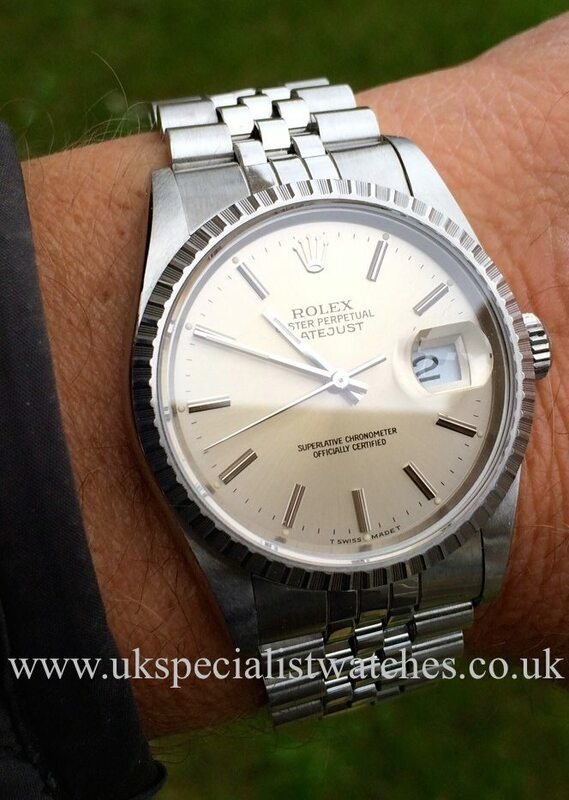 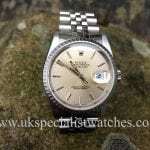 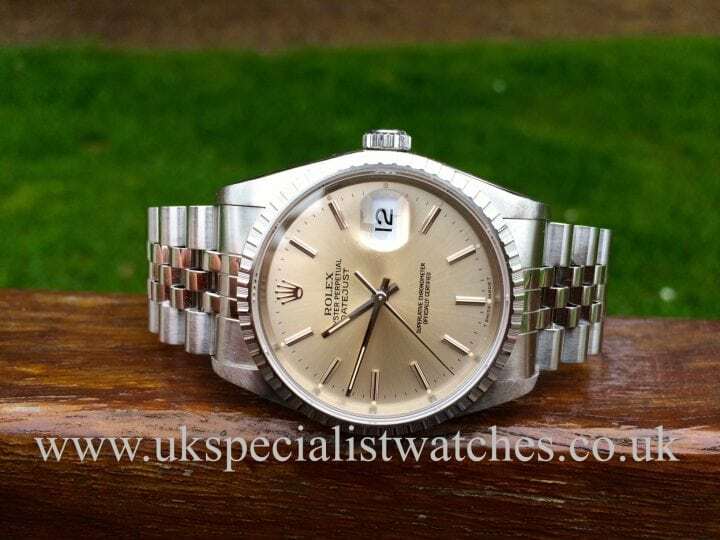 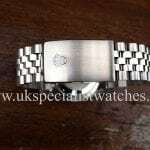 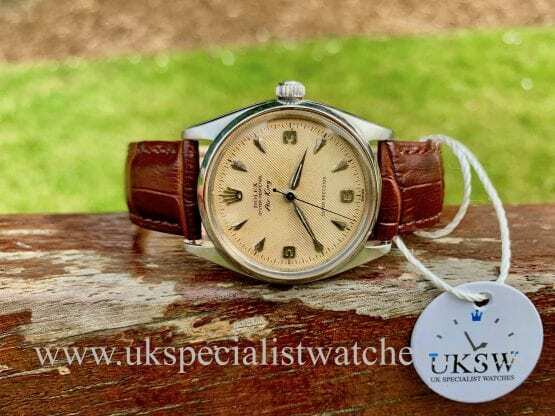 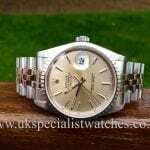 Rolex stainless steel Date-Just 16220 has a beautiful Silver dial with applied baton hour markers and the much rarer engine turned bezel fitted with a Jubilee bracelet. 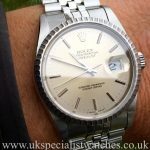 The Date-Just with its timeless design is very popular amongst both Men and Women.Our watch has clearly had very little wear and is in pristine condition. 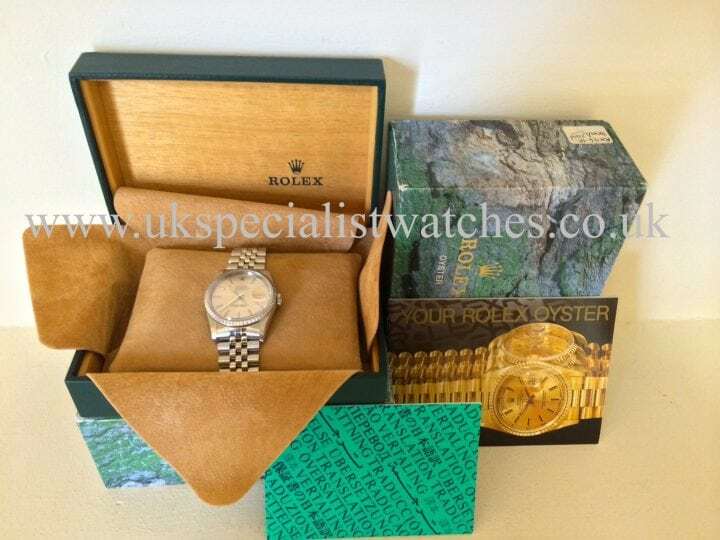 Supplied new 1991 .E serial.